Just west of Lake Michigan, and centered upon Millennium Park, the Chicago Athletic Association reawakens the dormant 1893 Venetian Gothic building originally designed by Henry Ives Cobb, a building boasting more than a century’s age. 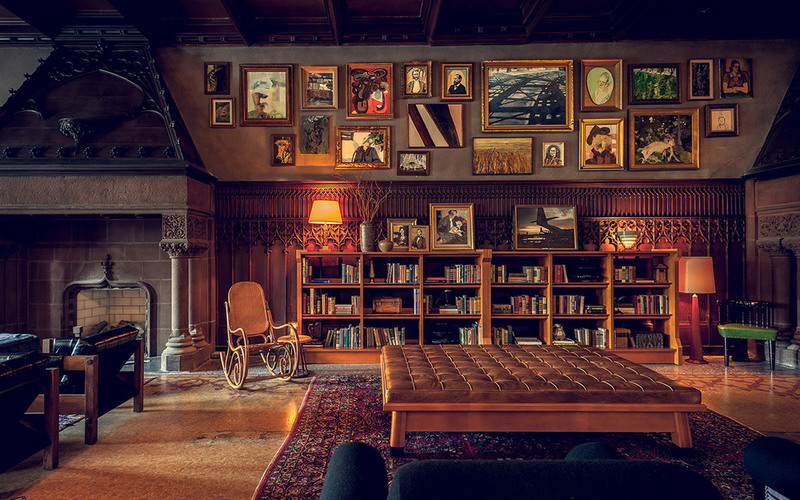 A quintessential Roman and Williams project, the Chicago Athletic Association hosts a story that couldn’t be resisted. Originally founded by a collection of families synonymous with American sport and athletic commerce (such as Wrigley, Comiskey, and Spalding) and architecturally developed during the Columbian Exposition, The C.A.A. was almost lost to plans of demolition in 1997-- all but save the original façade. With the union of forward-thinking minds, Ben Weprin of AJ Capital Partners, fellow Chicagoan John Pritzker, and Roman and Williams team, the aim was to make the C.A.A into a new hotel and locale that would regain new life, while honoring a long-standing history within its home city. A touch of disorder in the new space would draw in a younger generation, with a brave desire to balance it with references of its past. Nostalgic details were quickly found within the space, quite literally, as Stephen Alesch toured the initial raw space, finding paintings in the basement, trophies, dusty lighting and furniture, and abandoned athletic equipment. These elements surely inspired eclectic modifications: stretching racks referred to in bar and desk designs, reinvented game rooms for bocce, billiards and shuffleboard, vintage oriental rugs, elegant Carrara marble vanities with nickel fittings, free-standing tubs, national park blankets, the modern Cherry Circle Bar, and revived colossal 19th century fireplaces. Take the elevator to the top floor, and one can be greeted by the rooftop restaurant, Cindy’s. Inspired by the glass houses at the Gran Palais’ botanical gardens, it boasts a curved skylight and expansive view of the city where guests can find respite from the urban plane, the final touch to taking in the story that is Chicago.